The 2017 edition of the Downtown Dine O’Round kicks off September 15th and runs through October 1st. During the Dine O’Round, over 45 downtown restaurants offer various dining specials. Participating restaurants will offer either a $5 or $10 fixed price lunch, and $15, $25, and $35 three-course dinners. The Dine O’Round is an excellent way to try out some restaurants that perhaps aren’t in your normal rotation. New additions this year include HSL, Rib and Chop House, Fat Jack’s, and White Horse. I’m particularly interested in what White Horse’s $10 lunch will include, as I’ve been meaning to try that place. You can find more information, check out some menus from last year, and make reservations at the Dine O’Round website. Let me just get this out of the way: the new George S. and Dolores Dore Eccles Theater in downtown Salt Lake is going to be something special for downtown SLC. Gathering place. Community center. Banquet rooms for rental by the public. Terraces with incredible views. More bars than I could count on every level of the venue. Encore Bistro and catering throughout, ran by Cuisine Unlimited. A small 200 seat black box theater for smaller community events. And of course, the theater itself, the Delta Performance Hall, with a star-filled ceiling and red/orange colors that immediately remind the guest of the striated red rock formations of southern Utah. The theater seats 2,500, yet feels closer in size to the Capitol Theater than Abravanel Hall. Right next door (and partially hanging over the theater thanks to unique cantilevered engineering) sits downtown’s latest high rise, 111 Main St. And behind the theater is Regent Street, which itself is in the middle of a multi-million dollar renovation, and designed to be the new connecting pedestrian corridor between City Creek mall and the Gallivan Center. New restaurant spaces and shops are being built as you read this, and soon enough (October 21st), thousands of theater goers will be traveling to downtown to enjoy performances ranging from the Utah Symphony, The Book of Mormon musical, and Ballet to Elvis Lives and Neil deGrasse Tyson. The building itself is a stunning piece of architecture. Clothed in gorgeous white stone on the outside, the theater is located in the heart of downtown, and was designed by world-renowned architect Cesar Pelli in conjunction with local firm HKS. The theater features a sky-high six story lobby, with retractable glass walls that will open the lobby completely to the outside. Several stories up, a large terrace opens up to the outside for visitors to soak in the sights and sounds of downtown. Encore Bistro, located at ground level, is ran by Cuisine Unlimited, who is the exclusive provider of food and beverages for the theater as well as all events that happen there. The bistro will be open for breakfast and lunch Monday through Friday, and will be open before and during performances with menu items tailored for specific performances. The Bistro menu features unique offerings, such as vegetarian breakfast wraps ($5), daily quiche ($5), and fruit ($4) for breakfast, among other items. Lunch features items such as the Off Broadway Salad (romaine roasted tomatoes, bacon and Roquefort – $7.50), beef sliders ($10.50 for three), and a Thai chicken wrap ($10), among others. The Bistro also offers products from local purveyors C. Kay Cummings (chocolates) and Ruby Snap (cookies), to name a couple. I work downtown, and am always looking for great new spots to freshen up the lunch routine. I think that the Encore Bistro will find a place in the rotation on a regular basis. Am I perhaps being a bit too ebullient with my praise of the theater? Perhaps. This place wasn’t free, and it wasn’t cheap ($119 million, most of it taxpayer money). But despite my misgivings, this beautiful building is easily on par with other large downtown projects which have played key roles in the continued rejuvenation of Salt Lake City (Gateway, Gallivan, City Creek Mall, downtown Harmon’s, to name a few). My first impression of the new theater is that it was designed to be a centerpiece and a celebration of the city. And I think they nailed it. 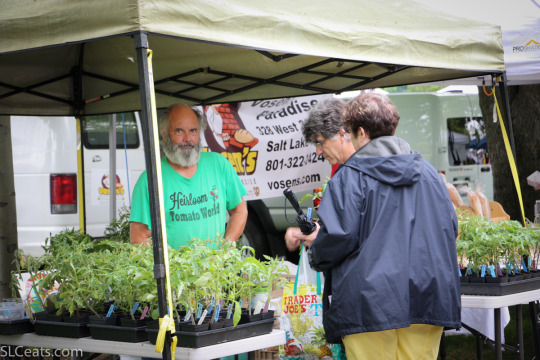 The first Summer Downtown Farmers Market opened to big crowds this weekend, despite the drizzly weather. 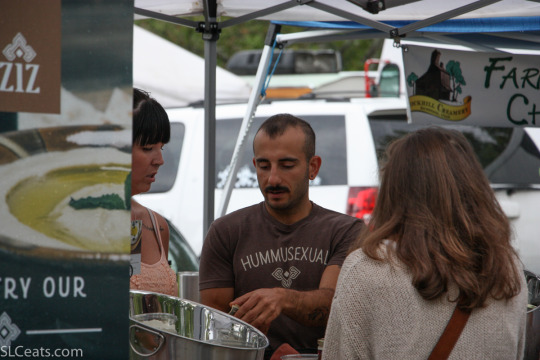 The market runs every Saturday from 8am – 2pm from June through October. 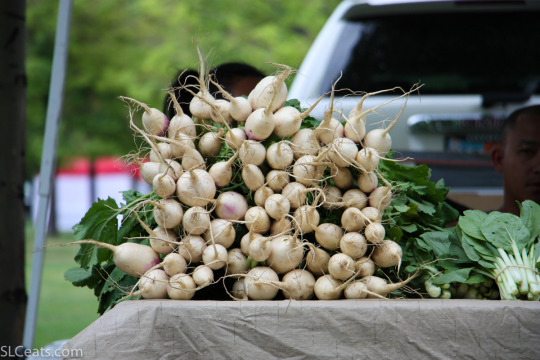 Later in the Summer when there’s more produce, the market also has a smaller market on Tuesday evenings. Some activity has been spotted at the old Bayleaf Cafe spot at 159 S Main St, next to Eva Boulangerie. Mollie&Ollie is slated to open Spring 2016, and judging by the extensive construction work, they are completely gutting the place and starting from scratch. Julie Payne is the manager of the spot, and she gave me the low-down: ordering will take place at the counter either in-person, via tablets, or through apps on your phone. The menu is being developed by Chef Ryan Lappe (formerly of Cafe Niche), and will focus on fresh and healthy (e.g. wraps, bowls, scrambles, stir fries, salads, smoothies, etc). Mollie&Ollie will be open for breakfast, lunch, and dinner, adding some evening dining options to downtown, which will seemingly work well with the new performing arts center right next door. The space will flow through all of the way back onto Regent Street, which is currently undergoing revitalization along with the 111 building and the performing arts center construction. This is not a franchise (yet). This is the first location for this concept, and if they are successful, they plan on expanding along the Wasatch Front. More to come as they get closer to opening! You can sign up for their mailing list by going to their site here. One of my favorite downtown restaurants, Bambara, is now offering brunch on Sundays beginning at 8am. The restaurants will feature classic dishes such as Bambara Benedict and their classic Caesar salad, alongside new offerings like their new Chef’s Breakfast Burrito (eggs, carnitas, avocado, cheddar, tomatillo salsa, and chipotle creme fraiche), or the Grilled Chicken Club (smoky bacon, roasted tomatoes, romaine lettuce and aged white cheddar). Alcohol service begins at 11:30am. 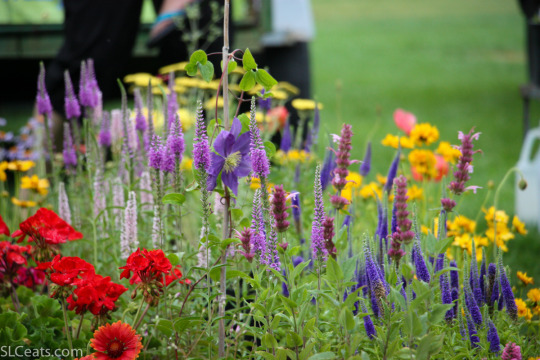 Reservations are recommended and can be made by calling the restaurant at (801) 363-5454. Red Hot, a new hot dog shop in downtown SLC, opened this week. It is located next to Lamb’s, and shares the same owner. Red Hot features Snake River Farms “100% American Kobe Beef” and has a varied menu including numerous dogs, banh mi, salads, creative sides, and lemonade. 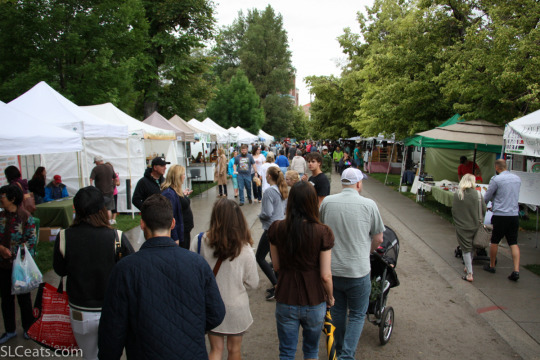 The SLC Farmers Market and Edible Wasatch are getting together for what is sure to be an amazing event. 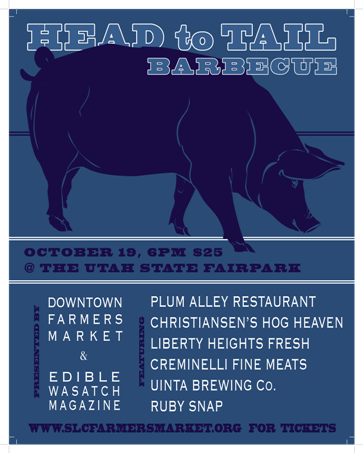 Chef Ryan Lowder is partnering with local rancher Christiansen’s Hog Heaven to prepare a seasonal pig roast at the Utah State Fairpark. 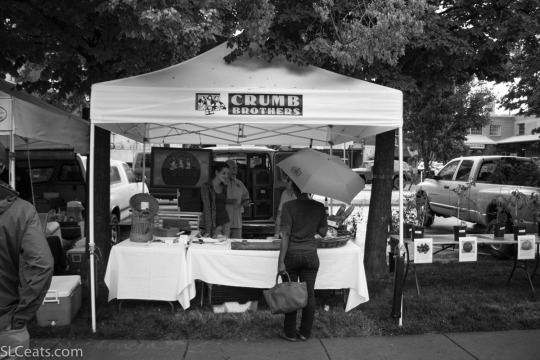 They will have live music as well as wine and beer pairings.